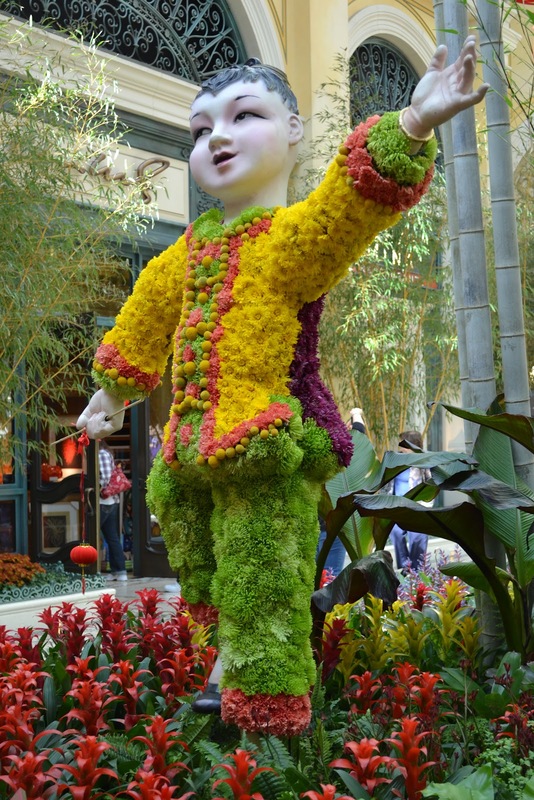 One of the things I was looking forward to when we flew to Las Vegas last month was Bellagio's exhibit. I couldn't stop thinking or guessing what would it be until we finally stepped on the hotel. 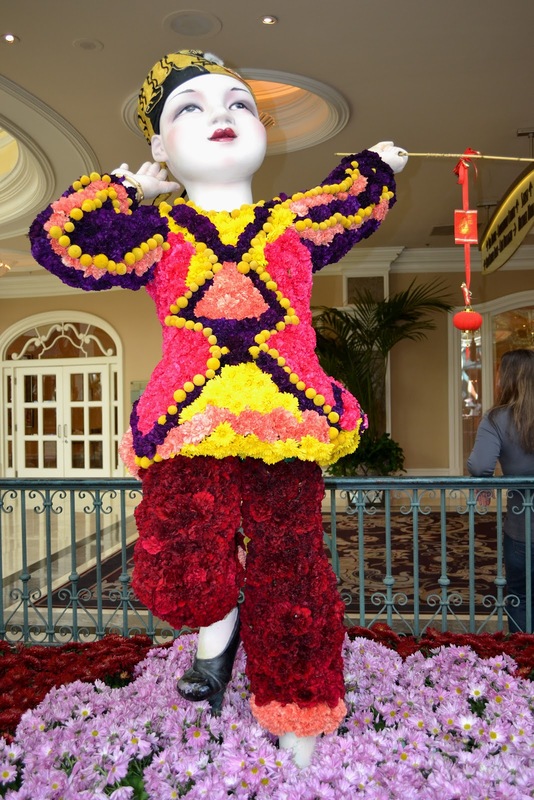 I love that Bellagio did their exhibit on the Year of the Dragon. Bellagio's stunning glass flowers as you enter the lobby. Chinese red lanterns behind the receptionists' table. Flowers, Chinese coins for good luck and the Double Dragon. This Chinese girl is dressed with flowers. This to me is most impressive. Literally, the painting is alive. They used real flowers and plants to make this painting come to life. Wonderful flower arrangement. Amazing! I would love to be there soon, hehe. The first photo just took my breath away. Gorgeous glass flowers. i love that garden too. i wish i could see it in 4 diff seasons. those are really gorgeous floral arrangements! 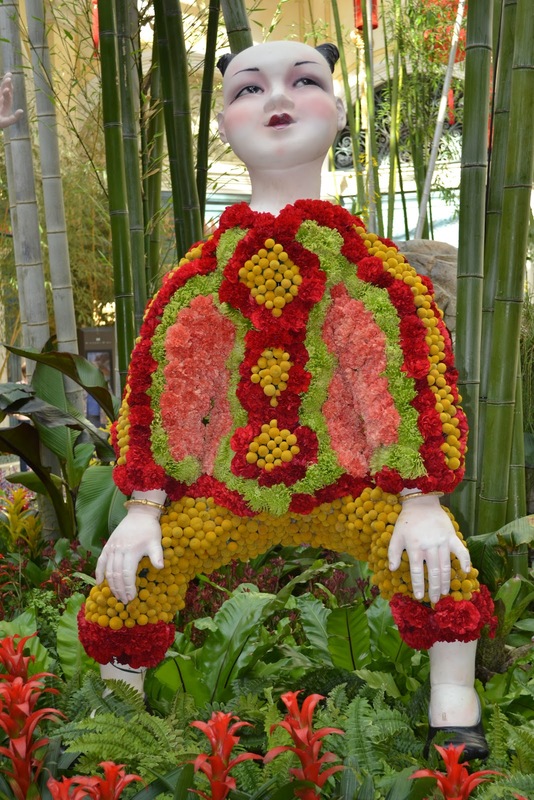 creatively done -my mom would agree (she so likes flowers; my wife prefers food than blooms). 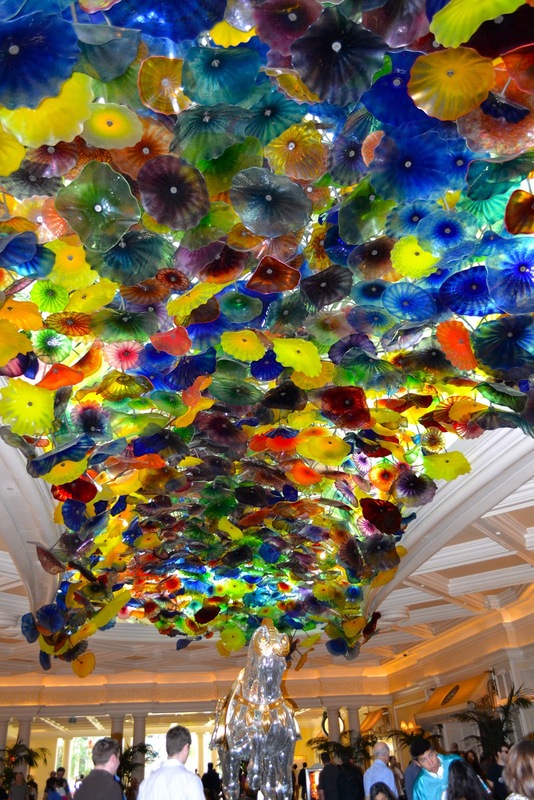 the ceiling of bellagio apprears to me as colorful glass-jelly fishes.